Motion design lies at the intersection of graphic design, illustration, and animation. It’s a fascinating field of design and using it can help you create stunning videos that captivate your audience. You can use motion graphics videos to tell inspiring stories, introduce your product to a larger audience, or explain what your business is all about. The only limit is your imagination — clichéd, but true. 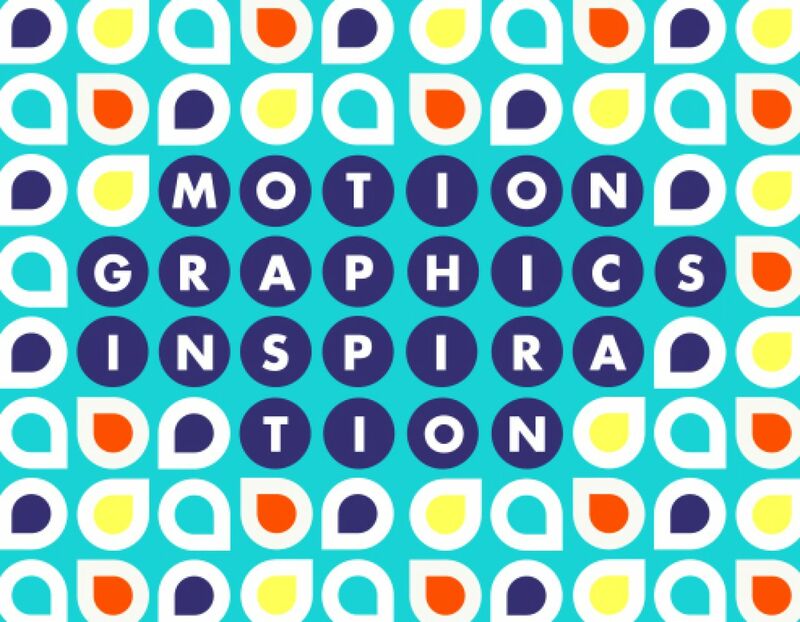 So, to hopefully expand the limits of your imagination, we’ve put together some of our favorite motion graphics videos. Some of these videos were among the the 2016 winners of the annual Motion Awards, while others were put together by creatives and businesses to inform, or to promote a product. Enjoy them, find your favorites and use them as a starting point to design and create your own gorgeous videos. Nerdo Creative Studio combined bright splashes of color with eye catching typography as part of their rebrand for Italian TV channel La Effe. The finished result is compelling: the up-beat instrumental audio track works with the graphics to create a mesmerising experience and sets La Effe apart from the rest of SKY’s TV channels. If you want to stand out in a crowded space — whether it’s among other products or services, or competitors — a daring approach using bold typography and strong colors can give your design a fresh, cool look. When Vice News started a nightly broadcast, they needed big motion graphics elements that fit the brand while differentiating the news show enough from the other product offerings to stand on its own. The finished designs captured the brand’s spirit. Primarily using black and white with bright spot colors to add drama to specific sequences, the stylized typography and graphics supported the news stories being told. When you design motion graphics for your own videos, pay special attention to what the font and colors you chose represent, and the emotions they create. Choose something that shows who you are without detracting from your message. While many motion graphics pieces stray almost too far into the realm of animation to really still be described as motion graphics, this short infographic by Ahrefs treads the line nicely. They stay on-brand with their look and manage to incorporate just the right amount of information so the viewer can keep up (there’s nothing worse than a video where the information is confusingly presented or doesn’t stay on screen long enough for you to read it). This gorgeous and terrifying motion graphic from The Guardian tells the story of Alice, one of the last people to hold a job in a world where AI has taken over. The short story combines stunning graphics with powerful visual storytelling and typography. Music, text, and visuals work side by side to paint a picture of our potential future. It’s a powerful story, simply told. Ready to tell your own story? Our designers have worked hard to create animated scenes with a soul. Scenes that you can cut together in a variety of different ways to tell a unique story, like Alice’s. On the other end of the spectrum, the Dropbox team uses bold graphics, large, punchy typography, and video footage to tell a different kind of story. This is the story of diverse people in various parts of the world, working hard, and using every last ounce of energy to create something. The combination of video footage, animation, and text meshes really well with the underlying message of creativity. Dropbox transformed cloud storage software into a story about creativity and collaboration. You can tell your own story this way by asking yourself what your product really does for the user. Biteable makes it super easy to combine animation with video footage and create something beautiful. PayPal uses motion graphics to explain what their product is about and how it works. The clean design, on-brand color scheme, simple graphics, explainer text, and helpful voiceover all work together to show exactly how PayPal works in action. Motion graphics are a fantastic way to explain how software works in a way that’s easy to grasp and fun to watch. Insurance broker Medicompare used Biteable to create their own product explainer video and increased conversions by 20%. When making your own video, think about the fonts and styles that best work for your brand and will support your story. The best motion graphics videos there teach us something new. This infographic tells the story of the virus Stuxnet. The text tells enough of the story to get the viewer’s attention while the voiceover adds more relevant detail for the viewers who want to get an in-depth story. Lists and how-to’s aren’t just great for blog posts. You can use motion graphics to make listicles that little bit more exciting. The combination of moving graphics and text make this style of video great to share on social media. Use it on its own or to tease a longer piece of content. Educational, informative videos don’t have to be long or hard to make. The key is to tell a clear story like that of Stuxnet or to offer a creative solution. Our explainer video templates are a fantastic way to get started. The internet is chock-a-block with great videos of all kinds. Watching a few can help you get inspired and get new ideas to spark your creativity. What are your favorite motion graphics videos? What do you love about them? Incorporate these elements into your own and experiment with different typography, animation styles, footage integration and audio until you create the perfect video.